More than 250 IT managers from all over the world took part in this year's edition of Comarch User Group 2018. Organised by Comarch, manufacturer of advanced IT systems, for more than ten years now, the conference brings together representatives from the largest global corporations. This year, it hosted guests from all continents. The two-day international conference, held under the slogan of DISCOVER INNOVATIONS – SHARE EXPERIENCES, included lectures and workshops devoted to marketing campaign management, telecommunications business models, and the use of IT systems in the management of financial products and services for individual and corporate clients. Comarch User Group took place on 26-27 September at the ICE Congress Centre in Kraków, Poland. This year, many presentations were a response to the new trends and changes underway in modern technology, such as artificial intelligence, augmented reality, and cloud systems that are the drivers of IT today. Today, the world economy is squarely divided between three large players. There's Europe, encumbered by bureaucracy and complicated legal provisions, there's the United States, which forms a huge and unified market, and, on the other side of the globe, China that is undergoing a really dynamic growth. For European countries, and in particular for Old World entrepreneurs, competition against Asian and American IT giants proves very difficult. However, it's not necessarily a losing game, because Europe also boasts high-quality experts. With regard to the availability of skilled IT specialists, Poland ranks third, ahead of Switzerland and Hungary, in terms of the best developers. This allows companies like Comarch, challengers from the Polish Silicon Valley, to enter the fray and compete against the highest-priced technology tycoons from the US. Conferences such as the Comarch User Group show achievements, but above all, the potential of Polish technological thought, says Professor Janusz Filipiak, Founder and CEO of Comarch. The Comarch User Group is not the only conference of this kind organised by the Kraków-based IT system provider. Comarch is also building a platform to exchange knowledge and experience in the field of cutting-edge technologies in the US, where the company has been operating since 2007. 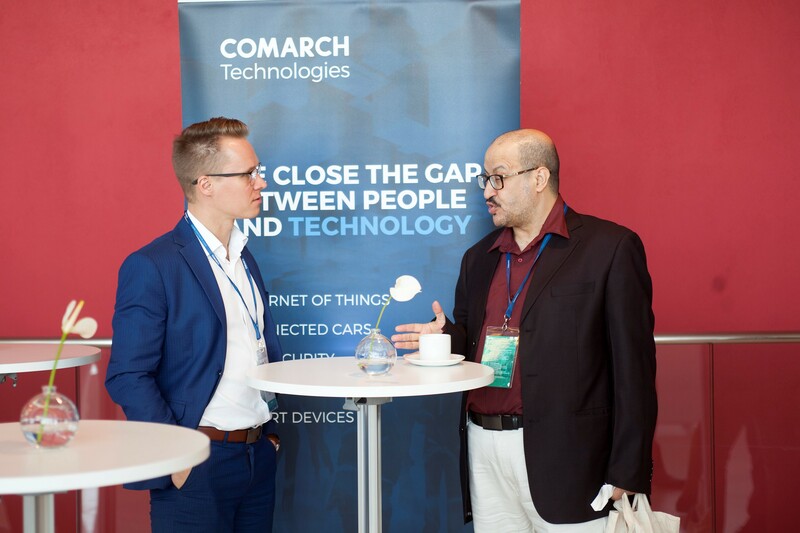 In May 2018, it organised the Comarch Foresight Series 2018, which is a conference devoted to the applications of IT systems in commerce, telecommunications, financial institutions, and healthcare. The topics of the presentations and talks ranged from loyalty programmes, Business Intelligence and Electronic Data Interchange, all the way to practical case studies of Comarch’s existing clients.